You might come to realise that it is a difficult task if you are asked to find someone who can argue against the utility that having a fence around your property can offer. 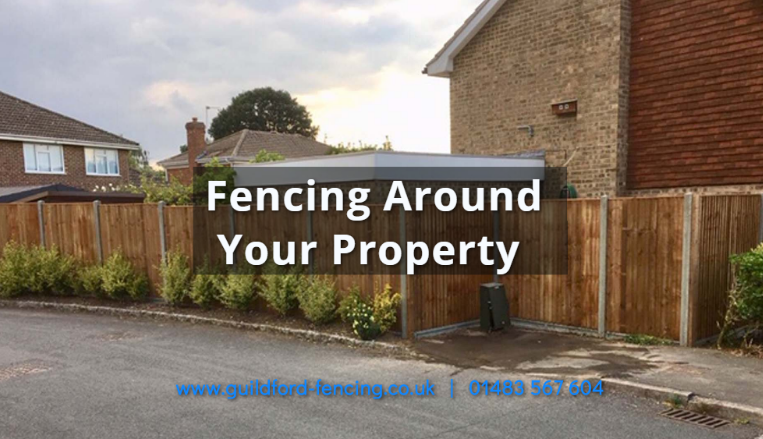 An ever-increasing number of people are starting to realise this and are summoning the professionals who offer services of fencing in Farnham to come and install a fence around their plot. For their part, the professionals ensure that they do a quality piece of work no matter where they are called in. The thing that needs to be understood is that there are quite a few benefits of getting a fence placed. Discussed below are these benefits that will convince you to consider getting fencing done around your property. The obvious benefit of opting for fencing in Farnham is that you will be able to experience added privacy. It is in the subconscious of human nature to feel a sense of boundary when someone sees a fence around a property, and this will automatically keep them away. After all, privacy is one of the basic requirements for any person, and you will be able to enjoy your activities within your property knowing that there are not going to be any prying eyes trying to catch a glimpse of you. One of the primary reasons behind anybody wanting to install a fence around their property is to increase their feeling of security. While the crime rates in our country are still lower than in most others, it never hurts to do one’s bit to make sure that no intruders come inside your property and raid your house. Additionally you can’t put a price on being able to have the reassurance of knowing that your family members are safe inside the property while you are away for work somewhere. In today’s cramped up world, the boundaries of a property start where that of another one ends. What the matter of having a fence around your property effectively does is give outsiders, neighbours and indeed, yourself, an idea about where it is exactly that your property starts and ends. The chances of trespassing reduce significantly when you have gotten the professionals to install a fence around a plot in Farnham. Now that the serious benefits of having a fence have been discussed, we then come to the matter of the visual appeal. You can rest assure about the fact that your property will look ever-so-wonderful if you have a beautiful fence surrounding it. Guests and neighbours alike will really appreciate your fence when they come over to visit. If and when you decide to sell off your property, you will see that you are fetching offers much better than you realise due to the fact that you have a fence around it. As you can see, it definitely makes sense when you decide to have a fence around a property. As mentioned previously, the idea of knowing that your close ones are safe while you are away should alone be enough incentive for you to consider installing a fence. What Are The Advantages Of Seeking Professional Fencing Services?